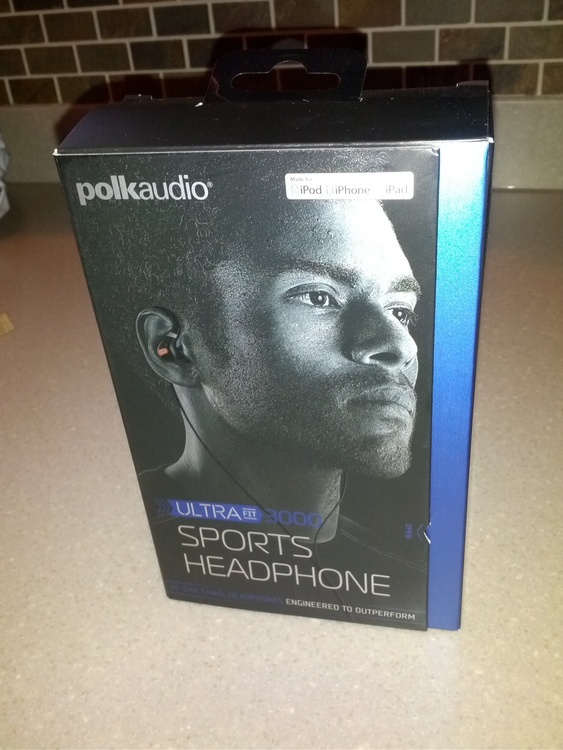 I received a demo unit of the Polk Audio Ultra Fit 3000s for review. I know that some runners shy away from listening to music, some will say there are safety issues, or that you can't really focus on your form. Personally, I love listening to music as I run. I feel a definite boost in my tempo when that perfect song comes on. Especially with ultra running, I feel like one of the most important things to have is music, that, and a high boredom threshold. Music helps you focus on something else besides the pain you feel in your legs, when you're really pushing it. Headphones and sweat are not a winning combination. I actually broke a cell phone from getting it too wet from sweat. With that being said, I've gone through lots of headphones. I've tried the expensive, cheap, and everything in between. Most of the time it's the 3.5mm plug where it flexes that breaks. So where do the Ultra Fits come in? Well they are definitely on the more expensive side, but I would say with good reason. 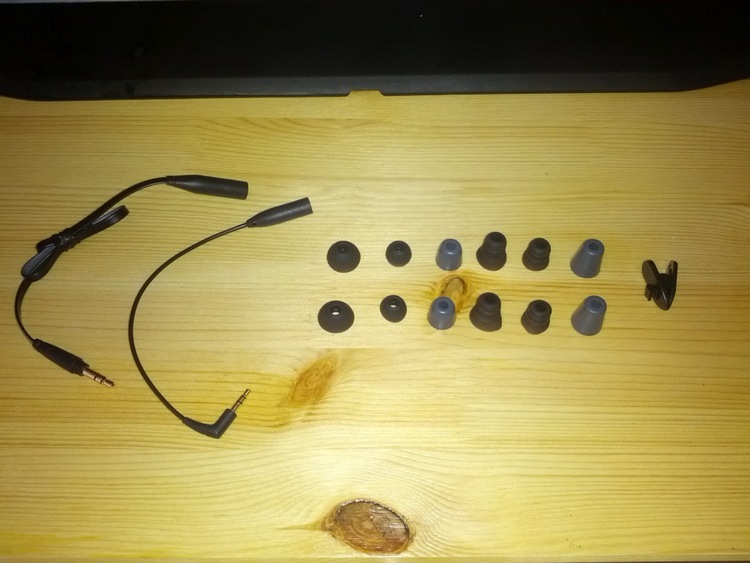 They come with a large amount of connectors and ear buds of different shapes and sizes. They have included a short cable which can be used with an mp3 player, which may clip to your shirt or arm band. The fact that the cable is replaceable is nice, in the event it breaks. My big gripe with over the ear headphones is normally the fit. Depending on your ear shape, you may or may not be able to a solid fit in your ear. The big advantage is that you won't end up accidentally ripping them out of your ears, if you cross your arms over, when running. With the original ear buds, that come with the unit, they don't have a completely solid fit in your ear. I switched it out, with the memory foam ear buds, which corrected this problem. They do not provide a complete seal from outside noise, which is good. It's unsafe to be running and not be able to at least hear the surrounding area, for either other runners or people biking. You are bound to find a set of ear buds, that will work with your ear type, from the selection they give you. I am not an audiophile, so I can't really give a complete break down on sound quality. I will say that they do sound better than the the pair of Samsung ear buds, that came with my Galaxy Nexus. I normally stream Pandora and everything sounds crisp and clear. One of the nicest features of the headphones is the inline remote control. It allows stop/start and volume control, if you are using it with an iPhone. For me, I'm using an Android based phone, so the volume controls don't work. This isn't Polk's fault, it has to do with how the wiring is different for Android accessories. Maybe in the future they will release a version compatible with Android. My verdict? I would recommend them. 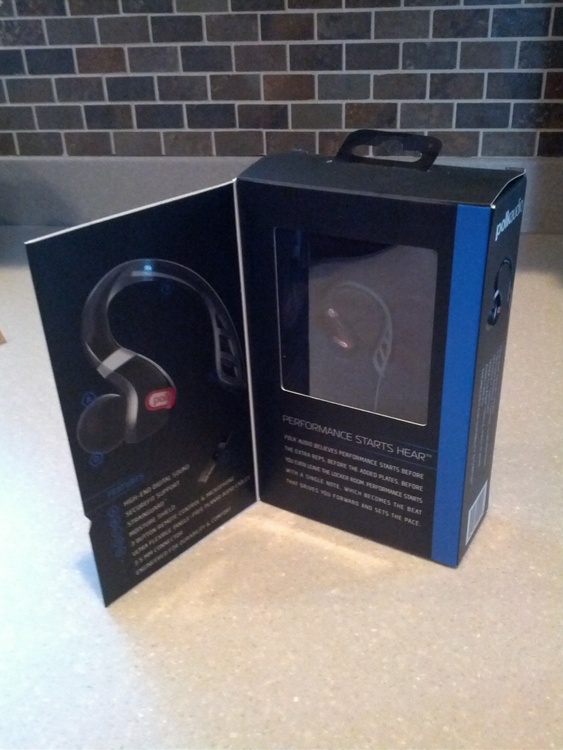 They offer a lot of nice features that a cheap 20 dollar pair of headphones falls short on. Lots of accessories, no tangle cord, detachable connection, replaceable parts. Angled plug prevents unintentional pull outs from device. A ton of adapters, like one to use with the iPod shuffle and a Nokia adapter. Little on the heavy side with the thick cable and remote but it's a no tangle cord. Behind the ear are harder to get in but they won't accidentally fall out.